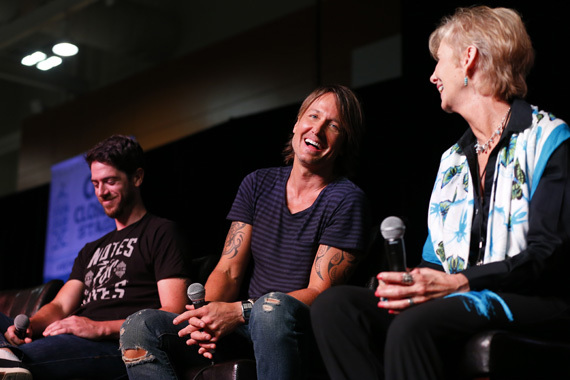 CMA and the CMA Foundation unveiled its “Music Education Matters” campaign yesterday (June 11) during CMA Music Fest and announced country artist Keith Urban will be the first national ambassador for the program. The program provides musical instruments and teaching support to programs serving inner-city youth. 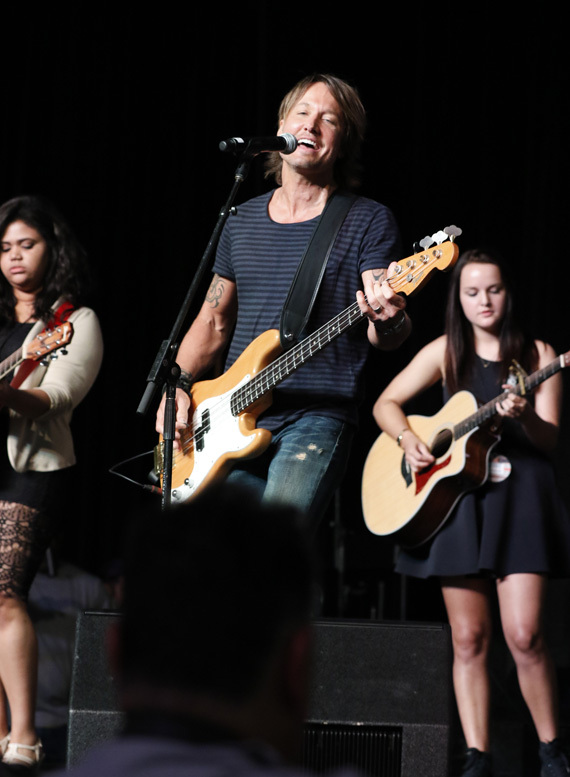 Urban is contributing 60 Keith Urban guitars complete with amplifiers, strings, and picks to five Music Education Matters partner programs across the country including programs in Atlanta, Los Angeles, Nashville, New York City, and San Francisco. They will be distributed to five separate in-school and after-school programs including Metro Nashville Public Schools, Notes for Notes, Harmony Project, Little Kids Rock (LKR), and Education Through Music. “Several of these programs have instruments that were provided by the Foundation, but thanks to Keith’s generosity some of our most ambitious and talented students will have a guitar to take home for practice and improving their skills,” said Ron Samuels, Chairman of the CMA Foundation Board of Directors. The CMA Foundation receives the bulk of the funding to support these and other programs from CMA Music Festival. To date, CMA and the CMA Foundation have donated more than $11 million to this worthy cause on behalf of the artists who perform at the festival for free.